Alt-Country road-warriors Cuff The Duke recently released the album ‘Morning Comes’ in North America. 'Morning Comes' is part one of a two part album (the second part is set for release in fall 2012) and was honoured with a 2012 Juno Nomination for “Best Adult Alternative Album”. 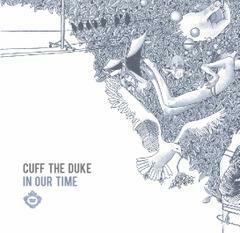 In celebration of the release Cuff The Duke recorded a special covers EP entitled ‘In Our Time’ featuring six songs from some of their favourite artists including Dum Dum Girls, John Lennon, Sonic Youth and Smog.